In Washington, the Agency for International Development identified the diplomat as one of its officials, John Granville, 33, originally of Buffalo. American officials said it was “too early to tell” if the shooting had been random or planned, but Sudanese officials said the circumstances were suspicious, especially because gun crime is rare in Khartoum, considered one of the safest cities in Africa. 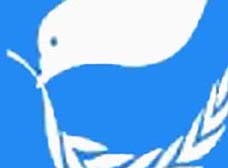 The United Nations had recently warned its staff in Sudan that there was credible evidence that a terrorist cell was in the country and planning to attack foreigners. Sean McCabe, who is married to Mr. Granville’s only sibling, Katie McCabe, said Mr. Granville had been in Africa for about 10 years, since his graduation from Clark University in Worcester, Mass. 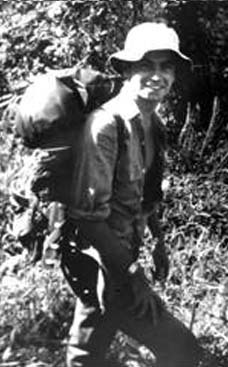 The Peace Corps sent Mr. Granville to Cameroon for two years in the mid-1990s, Mr. McCabe said, and Mr. Granville also won a Fulbright scholarship for study in Africa. NAIROBI, Kenya — An American diplomat in Sudan and his driver were shot to death early Tuesday as they were coming home from a New Year’s Eve party in Khartoum, the capital. John Granville, who was killed by gunmen on Tuesday. In Washington, the Agency for International Development identified the diplomat as one of its officials, John Granville, 33, originally of Buffalo. American officials said it was “too early to tell” if the shooting had been random or planned, but Sudanese officials said the circumstances were suspicious, especially because gun crime is rare in Khartoum, considered one of the safest cities in Africa. The United Nations had recently warned its staff in Sudan that there was credible evidence that a terrorist cell was in the country and planning to attack foreigners. According to Western officials, Mr. Granville left a New Year’s Eve party at the British Embassy around 2:30 a.m. and was being driven to his home in an upscale neighborhood in central Khartoum. Shortly before he arrived, a car pulled up next to him and 17 shots were fired, Sudanese officials said. Mr. Granville’s driver, a Sudanese employee of the American Embassy, was killed instantly, and Mr. Granville was shot in the neck and chest. He was taken to the hospital and died several hours later. The Sudanese Interior Ministry identified the driver as Abdel Rahman Abbas, 40. A Sudanese government official said that the attack appeared well planned. The assailants’ car sped in front of the diplomat’s car, cutting it off. Two gunmen got out of their car, with one of them shooting Mr. Granville and the other shooting the driver, the official said. Walter Braunohler, a spokesman for the American Embassy in Khartoum, said he could not comment on the circumstances because the shooting was under investigation. A spokesman for the Foreign Ministry said American and Sudanese law enforcement agents were working closely together to investigate. The attack came just hours after President Bush signed a bill that makes it easier for mutual funds and other investment managers to sell stakes in companies that do business in Sudan. The bill is aimed at Sudan’s oil and defense industries, in particular, and is part of the broader campaign to put pressure on the Sudanese government to end the bloodshed in Darfur, a troubled region in western Sudan where more than 200,000 people have died. 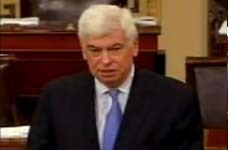 The United States has urged the Sudanese government to cooperate better with the peacekeeping mission in Darfur. On Monday, formal authority was transferred from the current African Union force to a joint United Nations-African Union mission. Mr. Granville had served the Agency for International Development in Sudan as well as Nairobi. 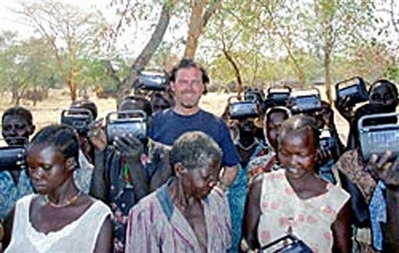 A photo on the agency’s Web site shows Mr. Granville standing amid a crowd of African women, each holding a radio distributed by the agency. Mr. Granville had been deeply involved in a project to distribute 450,000 radios equipped with generator cranks and solar panels, which work in places with no electricity. 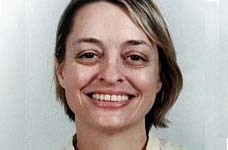 The goal was to prepare southern Sudan for elections in 2009 and a possible referendum in 2011 on independence, according to Shari K. Bryan, who is a senior associate and regional director for East and Southern Africa at the National Democratic Institute, a nonprofit, pro-democracy group based in Washington. Sean McCabe, who is married to Mr. Granville’s only sibling, Katie McCabe, said Mr. Granville had been in Africa for about 10 years, since his graduation from Clark University in Worcester, Mass. The Peace Corps sent Mr. Granville to Cameroon for two years in the mid-1990s, Mr. McCabe said, and Mr. Granville also won a Fulbright scholarship for study in Africa. “He’d come home and visit and spend time with his mother and his sister, and then he’d go back there and work,” said Mr. McCabe, reached by telephone at the home of Mr. Granville’s mother, Jane Granville, in the Buffalo suburb of Angola, N.Y.
On Tuesday night, the American Embassy sent out an e-mail message to Americans in Sudan notifying them about the attack on the diplomat. Izzadine Abdul Rasoul Muhammad contributed reporting from Khartoum, Sudan, and Matthew L. Wald from Washington.